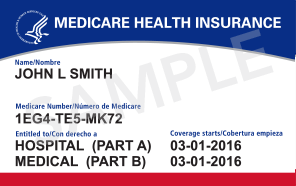 The Centers for Medicare and Medicaid Services (CMS) is replacing each beneficiary's Social Security number with a unique identification number, called a Medicare Beneficiary Identifier (MBI). Each MBI will consist of a combination of 11 randomly generated numbers and upper case letters. The characters are “non-intelligent,” which means they don't have any hidden or special meaning. The MBI is confidential like the Social Security number and should be kept similarly private.